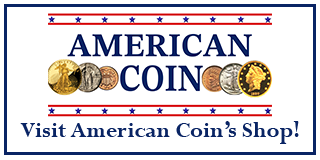 Commemorative Coins of the U.S.A.
Every commemorative American coin has its own history. Commemorative coins of the United States reflect the country’s history, its important events, and some of its significant people. Important accomplishments of our country and influential citizens are reflected by nearly all of these coins. 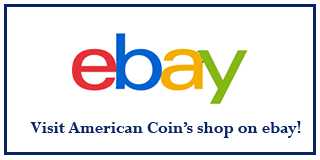 The actual value of a coin may vary due to Grading and physical condition. 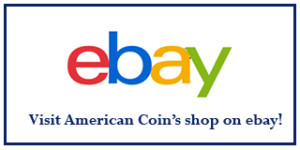 Valuations for each of the listed commemorative coins are estimates by American Coin using recent market data. Our commemorative coins carry grades of Extremely Fine (XF), Uncirculated (Unc), Mint State (MS), and Proof (Pr). 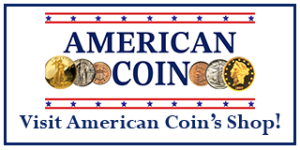 Please Contact Us at American Coin or visit one of our online shops to find the American commemorative coins you want.